Below is basic information on bail bond laws for Mississippi concerning Bail Enforcement, Bounty Hunters, Fugitive Apprehension and Bail Bondsman. This is not legal advice as laws change frequently. Please check the links provided for possible updates and current information. West’s Annotated Mississippi Code Title 83. Insurance Chapter 39. Bail Bonds And Bondsmen. West’s Annotated Mississippi Code Title 99. Criminal Procedure Chapter 5. Bail. 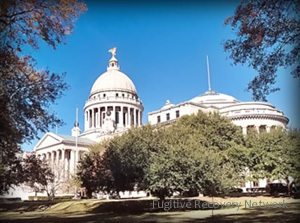 Mississippi’s statutes contain extensive licensing provisions for bail agents. (7) From and after May 1, 2000, prior to the issuance of any professional bail agent, soliciting bail agent or bail enforcement agent license, the applicant shall submit proof of completion of eight (8) hours of pre-licensing education approved by the department and the Professional Bail Agents Association of Mississippi, Inc., and conducted by the Mississippi Judicial College or any institution of higher learning or community college. An applicant may work as an agent without the pre-licensing education requirement but must complete such education at the first available offering. See § 83-39-11 for License fees. Mississippi bail agent’s arrest authority. Please check with the Mississippi’s Department of Insurance, Licensing Board and/or Local Law Enforcement for the most recent updates. If you know of any updates to Mississippi’s bail bond laws, please provide as much detail as possible and send to us using our contact form.